Intermediate County Champions 1973, 1975, 2002. Junior County Champions; 1967, 1974. Under 21 A County Champions; 2007. Under 21 B County Champions; 1977, 1989, 1996, 2002. Minor A County Champions; 2005. Minor B County Champions; 1988, 2000. Under 16 B County Champions; 1988, 2000. Under 16 Roinn C County Champions; 1986. Under 14 B County Champions; 2005. Schools A County Champions; 2002. Schools B County Champions; 1998. Schools C County Champions; 1974, 1997. Junior County Champions; 1947, 1953, 1966, 1973. 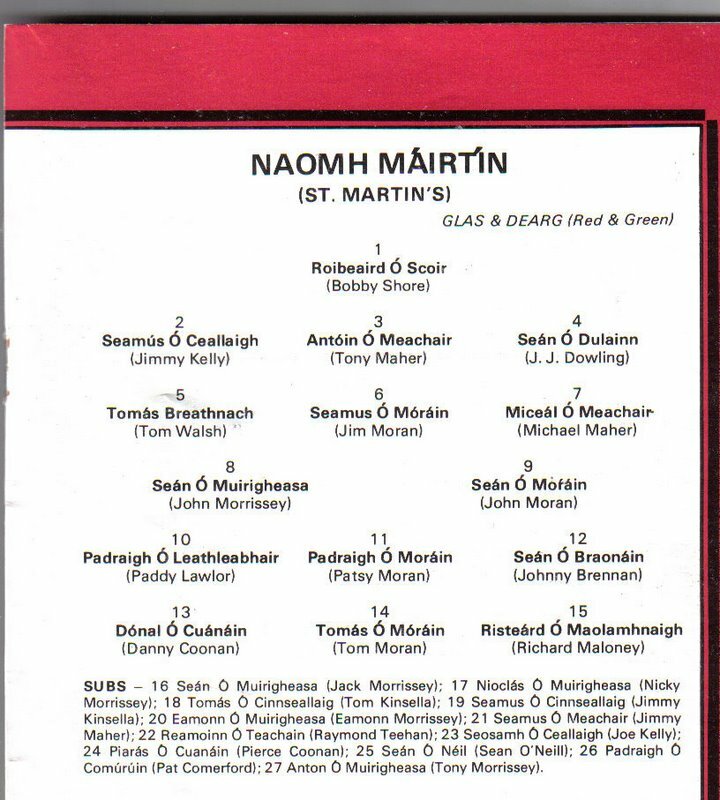 Minor B County Champions; 2000, 2001. Under 16 A County Champions; 2002. Under 16 B County Champions; 2000, 2003. Under 16 C County Champions; 1997. Under 14 B County Champions; 1999, 2000, 2001, 2005.